Meet Mr. Tom Gobble. 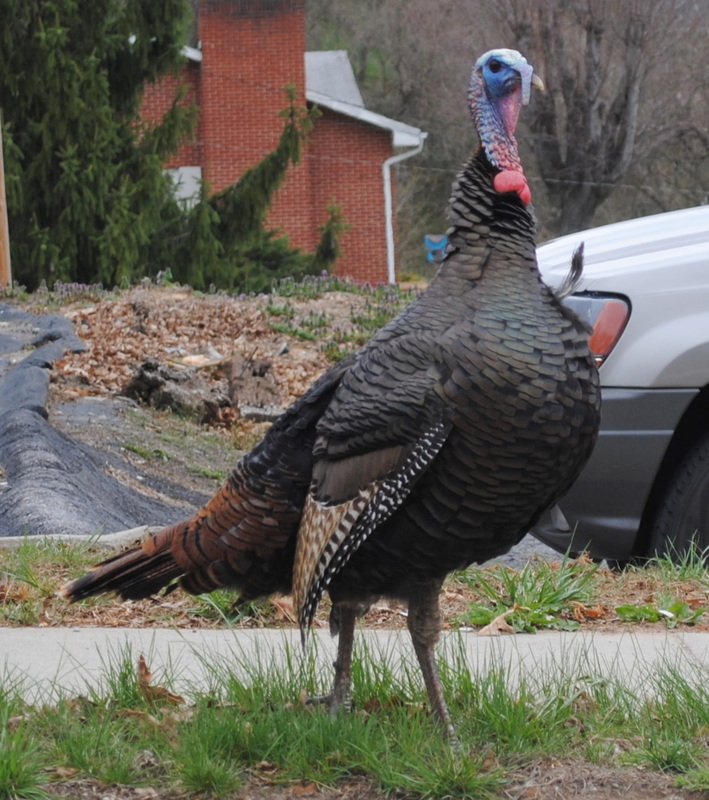 One day a rogue male turkey showed up in Eastern Waynesville, NC outside of the Department of Social Services. Tom was cantankerous from the day he arrived. He ran around in the road causing traffic jams. He scratched up people's cars. He really hated green cars for some reason. One of my favorite memories of Tom was the day I drove by and found him blocking a police car. The police car flashed its lights and ran its siren. Tom just stood their stubbornly not allowing the police to pass. Tom quickly become the town pet. Everyone was talking about what they saw him doing or how he attacked their car. 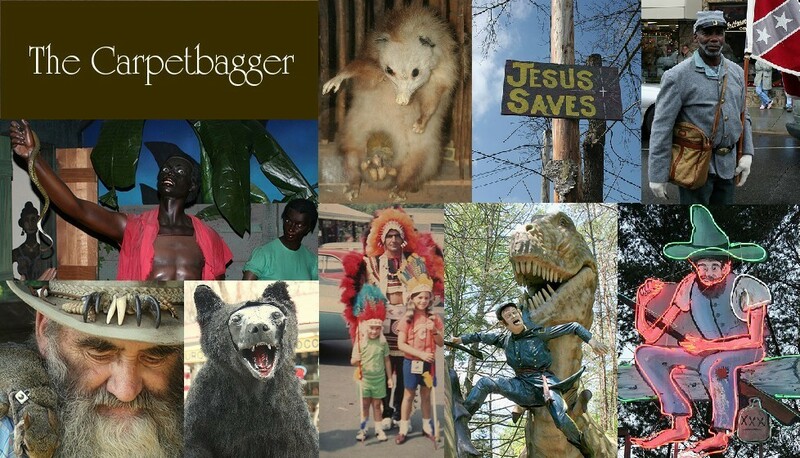 He was often featured in the local newspaper. One day, there was a startling message being passed around Facebook. The rumor was that Tom Gobble was dead. He had supposedly been run over by a car in the local traffic circle. However, the papers hit the stand and cleared up all confusion. Yep, that's right, front page story in the newspaper was that the local Turkey was NOT dead. If only this was not a grim glimpse into the future. 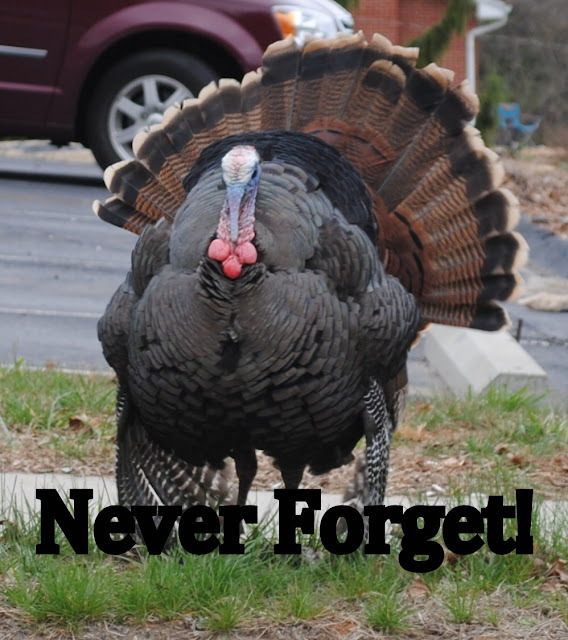 Tom Gobble, the town's Turkey was given a death sentence by local authorities. Tom was shot dead by local police following orders sent down from animal control that had dubbed Tom a nuisance. 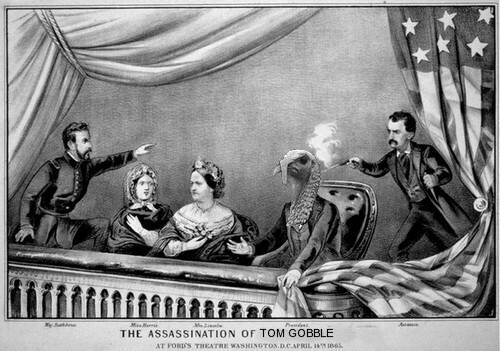 Here is an artist's interpretation of the assassination. 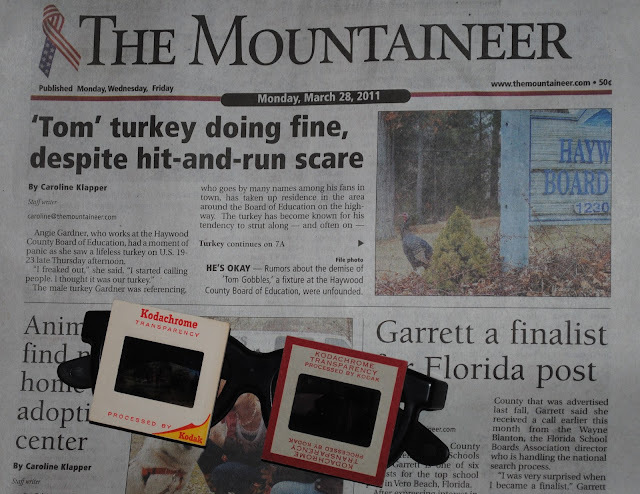 This time Tom's death not only hit the local newspaper, but also the local televised local news. Locals expressed shock that the beloved Turkey was killed. A little girl was interviewed and stated "He was my friend and they shot him." Her mother claimed that the little girl watched the shooting. Tom was gone, but not forgotten, to this day a monument still stands on the spot he was assassinated. Young Turkey struck down in his prime. 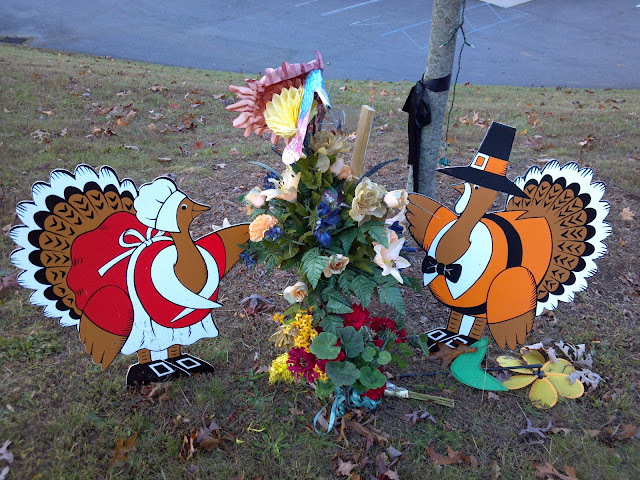 A town's mascot gunned down on for political reasons. We miss you, Tom. We will never forget.